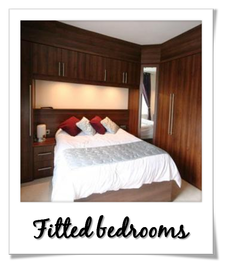 Fitzpatrick's Fitted Bedrooms is a family business based in Hapton, nr. 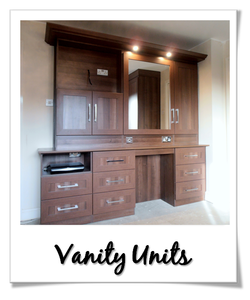 Burnley, Lancashire, providing the highest quality made-to-measure fitted bedrooms, studies and wardrobes to the Lancashire and Greater Manchester areas. With over 10 years experience, Fitzpatrick's Fitted Bedrooms have fitte﻿d bespoke furniture in spaces of all shapes and sizes and can create a storage solution to match all of your requirements. 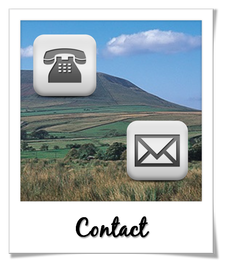 Whether you’re looking for a modern, contemporary design or something with a more traditional feel, we hold an enviable reputation throughout the North West for our extensive range of colours, doors and handles. All of our work is unique and designed to your specific requirements and space. 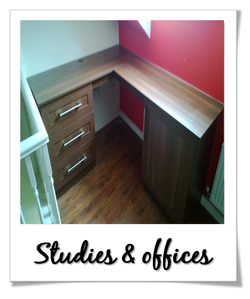 We will visit you in your own home to measure your room and explo﻿re the different fitted furniture design options. Please read about The Process for further details of how we work. For inspiration please browse our gallery and the links at the top of the page. Whatever you want, we can create.